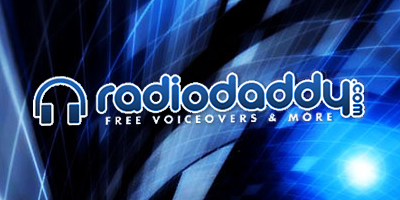 Welcome to the new and improved RadioDaddy.com! If you don't know me, my name is Adam and I'm an administrator and site tech here at RadioDaddy. In this short article, I'm going to go over some of the new features we're bringing you here at RadioDaddy. First of all, the rules have been updated, I would re-read them, familiarize yourself with them because "I'm new" won't be a valid excuse. We are now running on a VPS or virtual private server. This means you should be experiencing faster speeds! Articles! (What you're reading right now!) We encourage you to share your knowledge in the forums! If we see something useful, we can promote it to an article to share with everyone! Reputation System (This is a big one, now, to give reputation, simply click the + in the lower right hand corner of the post. It's now simpler than ever!) Users are now rewarded for high rep points with a badge in their profiles if they have over a certain number of reputation points. Free Requests - Members are now limited (physically by the board software) to 1 post per day. Want to remove that limit, upgrade your account for a small fee! Subscriptions - These are semi-new. Elite members will have access to the forums (no request limit) and will also have access to our exclusive areas including videos, reviews, tutorials, and more when they become available. That's all I can really think of for now. If you have any questions, check out the help section (via the toolbar). Great Article Adam...and thanks for all your hard work on converting the site over. Thanks so much Adam, I am wandering around, looks good so far! Great Work! wow just wow. Thanks for making my fave site even better. sup all - glad to be back at RD. Great update! great work Adam love the new layout. I think by posts you meant requests? I hope. If I post a reply on a topic I have to wait a day to post another reply. Which means I can only do one voice for someone per day. Thats too bad. I don't want to pay but Im glad to help people out. Adam and whoever else had a hand in this makeover, congratulations! I have a quick question. This is my first day on the new site, so if this has been addressed, I apologize. I didn't see it in the help section. Before, if a person's rep was rasied there was a notification on the top of the page. Where do notifications of rep changes appear now? Another question. Previously you could see posts for today, this week, etc. Can you still do that somehow? The one post rule is stupid, as I can't even respond to say thank you, other comments. Mark...Look to the top of the page and you'll see "View New Content" under the search page next to the RSS symbol...click that and then you'll see tabs up top, click on forums and you'll see new posts. I know it's a bit of a pain compared to the old site but we didn't have a choice we had to upgrade or shut down...now it's just a matter of getting used to the whole thing...I'm still stumbling around.